LC Cherry in a Grand Duke. Supper being ended, I've gotten comfortable in the den. Pup's asleep at my feet, and I'm resting up for Game 3 of the Bruins/Maple Leafs series. 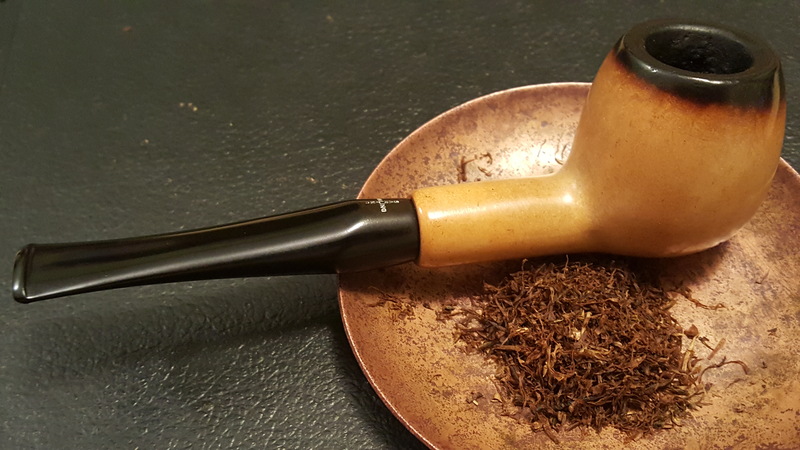 I've got my Old Standby burning in this Grabow Viscount now, and I'll probably get dirty looks from Dear Sweetie when she pops into the den later on. It's an enjoyable smoke, but the room note ain't whatchacall "friendly." Anyway, like the old sayin' goes... "It's easier to get forgiveness than permission." After 30-odd years of marriage, I've perfected the blank "who? me?" look. And contrition. Yessir, a little contrition goes a long way in a marriage. 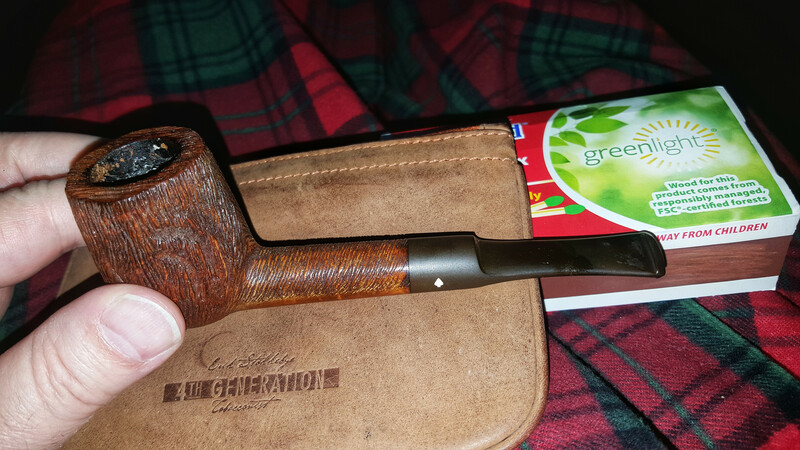 Having said all that, I'm really enjoying this smoke! HA! Smoking my molasses cased Burley blend in the Grand Duke. Nice. How long have you had this one? I have had it since 2013 (I think - maybe it was 2014). I have had it a while. Doin' the Old Standby in the same pipe again.